Because of Woodrow Wilson's 14 points, due to collective security, the League of Nations was created. Some countries believed that if they had some sort of alliance, they would be stronger in numbers and there would be no reason for war. 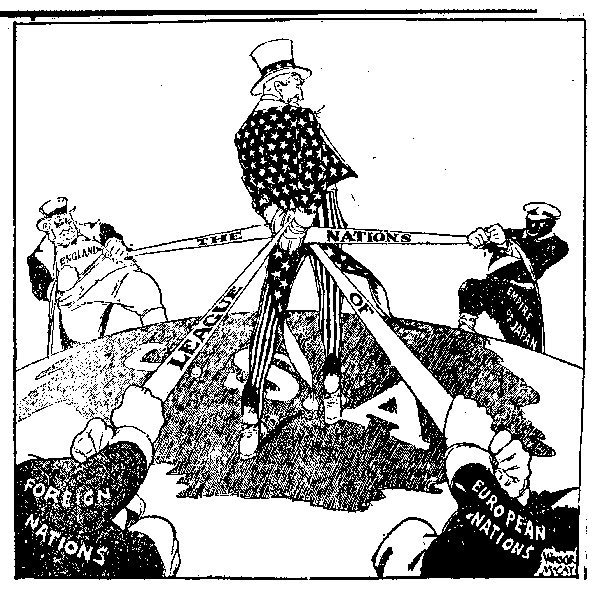 However, the League of nations doomed because the three most powerful nations (US, Russia, and Germany) were not included in this alliance; this caused the League to not last as long.